Here is a quick little guide to some commonly used essential oils for bathing and body care. There are so very many to choose from! Visit Bath Magic for bath recipe ideas and to learn more about using essential oils in bathing. I can’t decide if it is my Cancer Moon or something else that drives me to this craziness… It’s just that sometimes I feel like I could live in the bathtub. All it takes is a good book and some warm, salty, herbaceous water to make me feel right at home. It is so relaxing and restorative. An interactive experience from start to finish, the sock bath is lots of fun to make with children. What is the sock bath you ask? I first learned about this great way to use herbs in the tub from my teacher, Brigitte Mars. 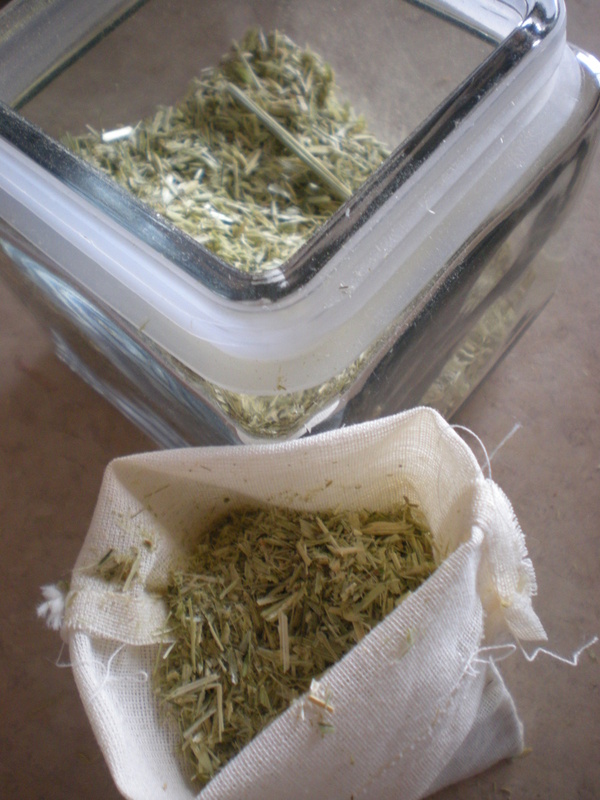 To make a sock bath simply put your chosen herbs in a sock, tie a knot in the top and toss it in the tub... super easy! Having made sock baths a few times with the kids at preschool, I have come to notice that the kids just love them. They enjoy picking out their very own herbal blend to put in the sock and then they love playing with the knotted sock, snuggling with it and enjoying the scents of the herbs. Once you get the sock bath into the tub it is great fun to watch the water change color as the herbs mix with the bath water. And then squeezing all the herb-rich water out of the sock into the bath makes for a very tactile experience indeed. The process is a lot like some of the other baths I have shared like, Minty Mint Bath and Rosy Oatmeal Bath, but is tailored for creating with kids. A sock for each child. When I do this at school, I ask each child to bring in a long clean sock from home, not a kid size one! You need big socks to stuff! 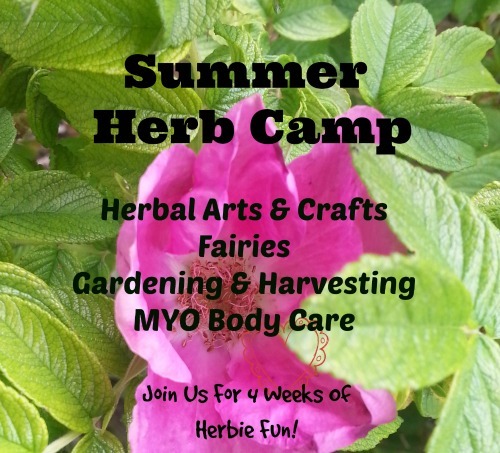 Bath Herbs examples are ~ roses, chamomile, lavender, catnip, calendula, and mints. Oatmeal, this is optional but it makes the bath so very much fun because when the sock bath is all wet in the tub and the child squeezes it, a skin nourishing slippery, milkiness exudes from the sock, so cool! Kid Friendly Essential Oils such as ~ lavender, sweet orange, spearmint, rosemary, rose geranium and ylang ylang. These are optional too! A Jar or Glass, have one for each child you plan to work with if you are going to do this in a group. Or you can have one jar/glass if you are going to work with each child separately. I used a plastic one to prevent problems with breakage. Give each child a jar/glass in which to create their sock bath. Working with either one child at a time or a few at a time, have the child(ren) choose the herbs they would like in their sock bath. Help them place about a 1/8 to 1/4 cup of each herb into their jar or glass. Add oatmeal and epsom salts if desired using about 1/8 to 1/4 cup each. Add the essential oils, about 4 to 8 drops total of whatever combination of oils you are using. If they want they can stir up their bath with a spoon. Then help the child(ren) to place to opening of their sock over the opening of their jar/glass and then once the sock is secure, dump the jar/glass over so the contents fall down inside the sock. (You might want to have the child hold the sock onto the jar if it is not a tight seal.) The child(ren) may need to give it all a little shake to get all the bath into the sock. Once all the bath is in the sock, remove the sock from the jar/glass and tie off the top! You can let the child(ren) play with their sock if you wish. Let the children's parents know how to use the bath ~ Just toss it in the tub with the child and let the play begin! Encourage the child to squeeze their sock bath so they can really smell the herbs and enjoy the wonderful herbed water that comes out of the bath. Heart opening roses in the bath restores the nervous system while cleansing and toning the skin. Oatmeal in the bath creates a rich mucilage that is extremely soothing to dry skin. Rose Geranium eases nervous tension and rejuvenates skin. Toss the bundle in the tub and fill with the hottest water from your faucet. Let your bundle steep in the tub until the water is cool enough for bathing about 15 to 20 minutes depending on the heat of your water. My skin was soft, so soft! I felt truly relaxed, nourished and ready for the rest of my day.